Life insurance is a vital part of financial planning and is especially important to anyone who has dependents. We also understand though that it is one of those subjects that no one likes to discuss. That’s why many people don’t think to review their life insurance when their circumstances change. Whether you are getting married, purchasing a property or expecting a baby, you should put time aside to assess your current life insurance policy. When your circumstances change it might just be that the amount of life insurance cover you have no longer extends to your family’s current needs. Let’s use the example that you took out life insurance when your first started contracting. You may have been newly married and living in rented accommodation. If the worst did happen at this point in your life the amount of life insurance cover you took out would have likely have just needed to provide for your partner’s general living costs. Fast forward five years, you have established yourself in your field and increased your day rate, have two children and a mortgage. Your current policy in this case will likely not be fit for purpose. The cover would now need to fund raising two children, paying off the remainder of the mortgage, and the lifestyle your family have become accustomed to. Choosing not to review your life insurance when your circumstances change like this could leave your family in a troubling financial state – in an already difficult time. A 2017 report by ‘Child Poverty Action Group’ estimated that the minimum cost of bringing up a child from birth to their 18th birthday (excluding rent and housing costs) rose from £72,600 to £75,400 for a couple and from £99,000 to £102,600 for a single parent. Considering the example above, this could mean your life insurance policy will need to pay out an additional £205,200 as well as the remaining amount on your mortgage just to keep your family on track. Not only does it make sense to review your life insurance policy to check that it falls in line with your family’s costs but also to check the different additional services that your insurer could now be providing. In a fast moving industry, it could be that your provider now offers an added benefit that it could be helpful to be aware of. From bereavement counselling to medical treatment from world-renowned doctors – understanding the full benefits of the premium you pay for is not a bad thing. All of these factors point to the value of reviewing your life insurance with your adviser at regular intervals and when your circumstances change. An adviser will take the time to listen to you and your family’s needs and understand exactly what level of cover is needed. To request advice and review your life insurance, get in touch with our trusted life insurance partners. 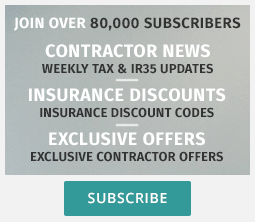 Contractor insurance for less than 12 months? What level of indemnity do I need?